On a recent stay at my parents' home I was drawn to the vibrant sedums growing throughout their garden borders. Sedum, a genus of about 600 species of succulent plants, is generally perennial, found in the temperate regions of the Northern Hemisphere. They store water in their thick, fleshy leaves and grow to various heights with various types and colour of flowers borne in terminal clusters on the stem; they can be yellow, blue, pink, or red. 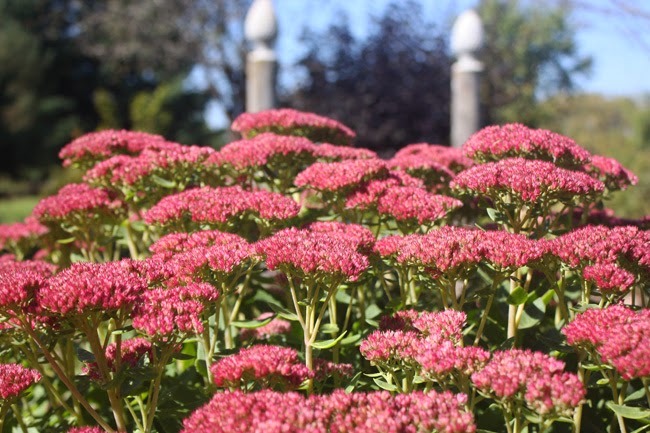 Sedums grow well in full sunlight and sandy soil and are most often cultivated in rock gardens or as border plants. Most species are low and creeping; some, however, grow upright. I love how they look in the late-season garden, providing stunning swaths of colour in borders that are generally on the decline. The species my parents have planted is called 'Autumn Joy' - one of the most popular sedums grown in the Northeast regions of North America. 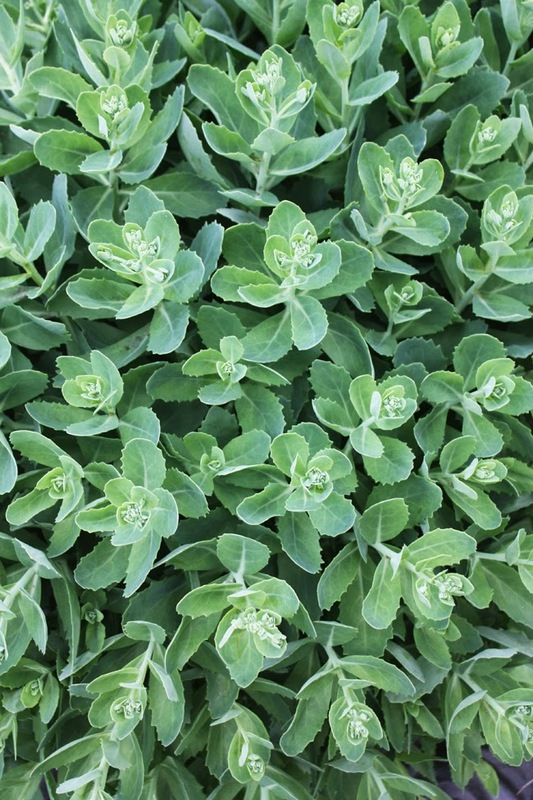 It is a Herbaceous perennial with a height and spread of approximately two feet, creating great mounds of texture and colour in the autumn landscape. The rusty-red shade of the flower clusters looks especially festive this time of year. 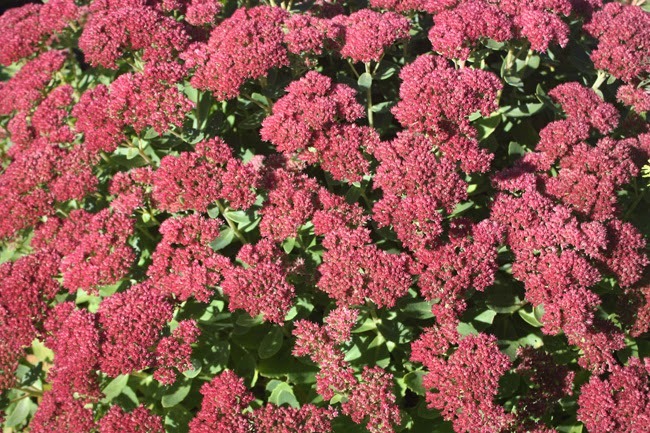 Sedums are uncommonly fresh and healthy all season long. Even out of bloom, the succulent foliage is luscious and vibrant. 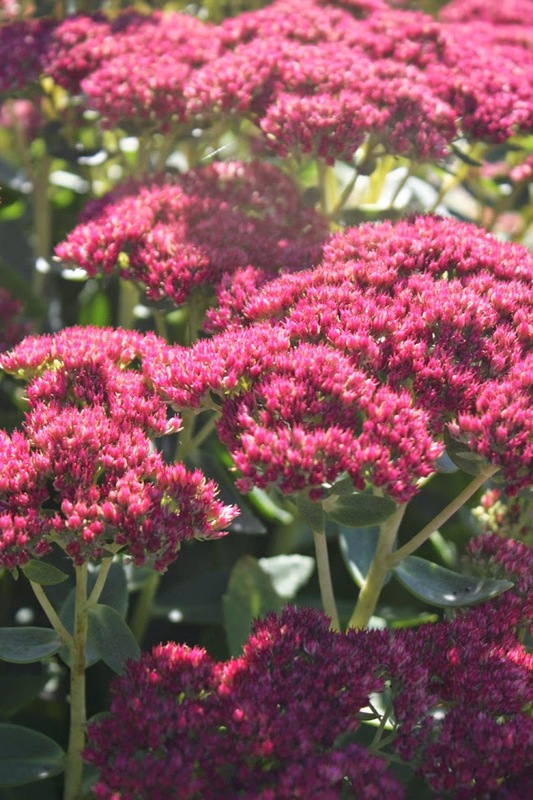 Foliage is dense and succulent, meaning the leaves are thickened and fleshy to retain water, so the plant is very drought tolerant and the high water content gives Sedum its’ always-healthy look. 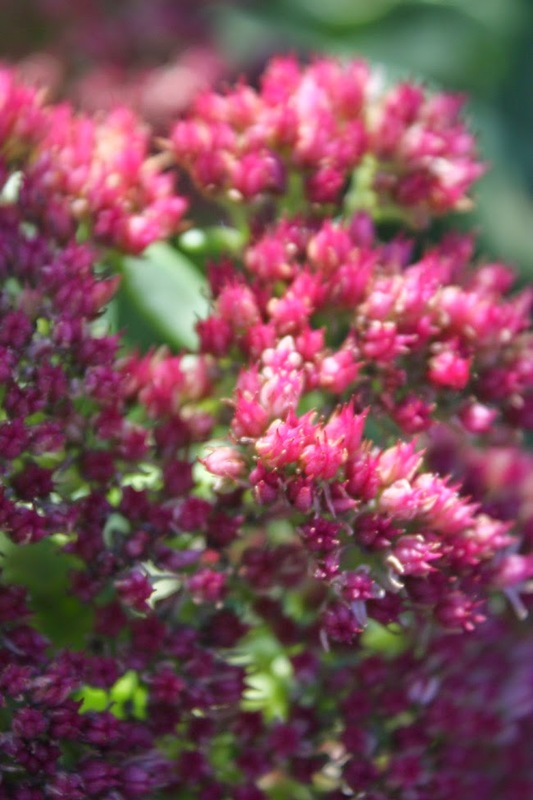 They prefer full sun and a well drained soil as Sedum is susceptible to fungal disease in wet or humid summers. When grown in overly fertile soil the plant may not be as strong and tend to flop over. This perennial is very easy to grow and care-for. 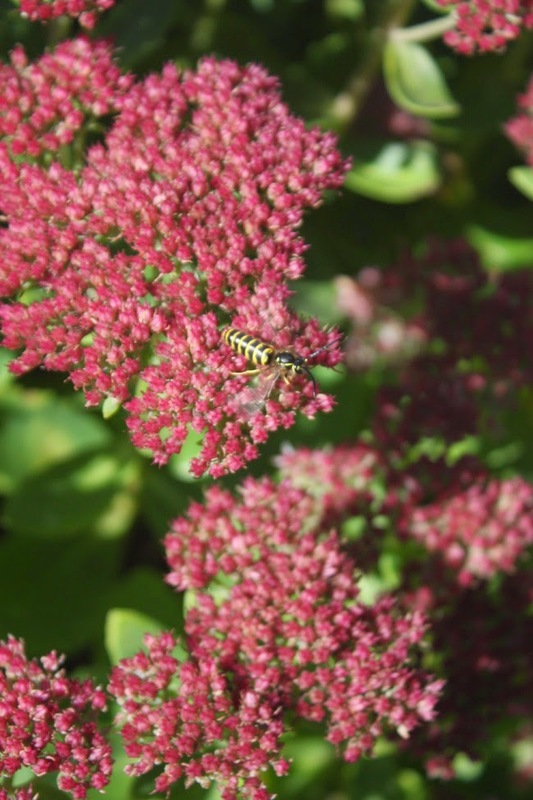 Sedums are a favorite plant of butterflies and bees, making them a very beneficial addition to the late-season garden. The leaves are generally a smoky blue in summer, as shown above, and tend to darken in the fall. This is the sedum shown in early June. The flower clusters had not yet formed but the foliage was still thick and luxuriant.